In Okinawa, various events are always being held somewhere. Now is the time to show you some of the hottest events going on in September. Many of them are child friendly, so why not join the fun with the whole family? 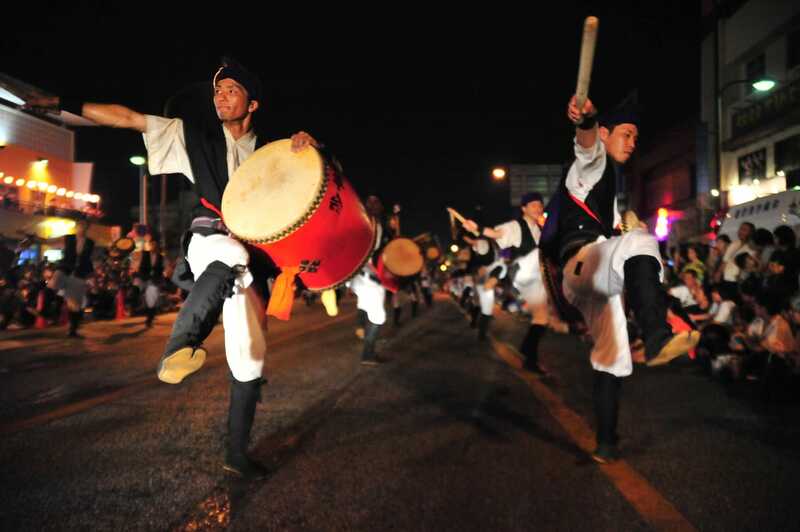 The “Okinawa All Island Eisa Festival”, originally started as the “All Island Eisa Contest” in 1956 after the “Birth of Goza City”, is held on the first weekend after Obon, and is now a summer tradition representing Japan, “matsuri”. In the “matsuri”, young men’s associations selected from various parts of the main island, as well as guests such as sister cities and cooperative organizations gather. In this huge event, will be able to fully enjoy the true pleasure of genuine Eisa, while being mesmerized by the sound of the shamisen, songs, and the rhythm of the lively drums, being moved by the breathtaking drumming techniques. The festival lasts for 3 days: On Friday, which is the first day of the festival, there will be the “Michijunee” at the National Route 330 Goza Gate Street, on Saturday, the “Okinawa City Young Men Festival” held by the Okinawa City Young Men’s Association, and finally on Sunday, which is the “main festival”, the Eisa festival will be held by young men’s associations gathering from various parts of Okinawa, at Goza Athletic Park in Okinawa City. Also, from the synergy of the “Beer Fest” being held at the same time in the sub grounds of the athletic park keeps the venue lively all night long. “Zoo in the Night ZOO Night” is held in Okinawa Kodomonokuni, a special project for summer break. The zoo’s hours are extended up to 9 p.m., allowing the observation of the animals’ behaviors that differ during the day, in the cool zoo of the night. You can experience the crocodiles’ “Mogu Mogu Watching”, as well as the “feeding experience” for the common squirrel monkeys and brown capuchins. Also, at the “Animal Night Market” held at the same time, many handmade animal lamp stands illuminate the night zoo, and you can also enjoy the Chameleon shooting game. There will also be a “Ghost Night Museum”, where unique ghosts made by children from the “ghost factory” will be gathered. 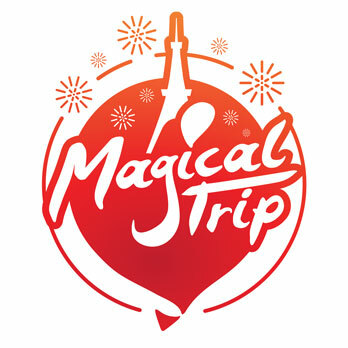 It will be an event where children can enjoy their fantasy ghost world. It is a summer event enjoyed by both children and adults. In the Hirakubo region located in the northern part of Ishigaki Island, you can see the mystical barringtonia flower that naturally grows every year in June. The place is known to be the largest natural habitat in the nation. 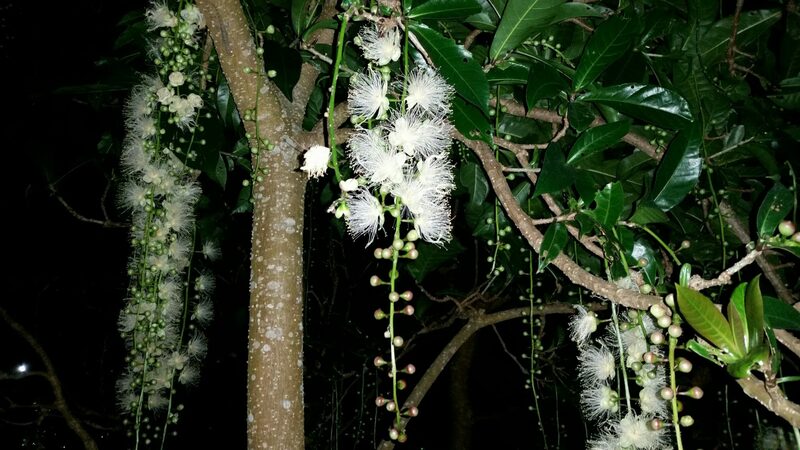 The barringtonia blooms at night while releasing a fragrance, and is characteristic of its blossoms to fall by the next morning, and the flower has a symbolism of “leading to happiness”. The flower is also called a “swamp wisteria”, deriving from its appearance that is similar to a wisteria. The flowers are available from July to September, and there are many adorers that visit from within and without the island. You can enjoy both the barringtonias and a sky full of stars on the handmade promenade. Since there are insects and yellow-spotted pit vipers, it is recommended to bring a flashlight, wear long pants, long-sleeved tops, as well as sneakers. The “Southern Island Cave Expedition” is a quite serious event unlike normal tourism caves, is a special tour that is only held during the summer, and requires reservation. The cave where you can experience the expedition is the “Gyokusen Cave”, located in Okinawa World in the southern part of the main island of Okinawa, and it is the largest limestone cave in the nation. The total length of the cave is 5,000m. Walking out of the normal tourism course in your red boiler suit, into the dark cave with no lights except for the headlight attached to your helmet, guided by a professional instructor provides much thrill and excitement. On your way, there are places where you must submerge yourself into the underground waters to advance, or places where you can observe the limestones up close, a bit different from the ones you see in the tourism course. Also, when you’re 40 meters underground, you may have a mystical feeling of being inside of the earth’s body. On the climax of the tour, you will definitely be moved when you safely get above ground. Reservation is required. Please contact us about the availability before 17:00 on the day before the date you would like to reserve.